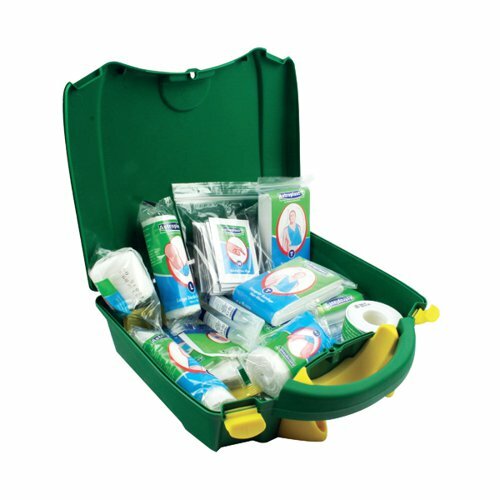 Designed for use on the road, this Wallace Cameron green box first aid kit for your vehicle has a range of medical products to help during an accident. Supplied in a portable and sturdy plastic green case it has everything the travelling employee might need in the event of an emergency. All of the products are manufactured to the highest standards to provide thorough and adequate roadside assistance.